Pacific County's first LP/Propane Gas & RV supply company, Active Enterprises Inc. began as a franchise of Petrolane, which was the nation's largest propane distributor at the time. Wilbur Jacobson, a prominent entrepreneur and businessman on the peninsula, started delivering fuel as a Petrolane consignee based in Long Beach, WA at the site of the current office in 1966. In 1973 Wilbur brought his son Dale to the company, delivering propane gas and servicing gas equipment for customers in Pacific and Wahkiakum County. Dale was 28 years old and married to his wife Jean. By 1981 Dale and Jean were raising 4 children and expanding their business. 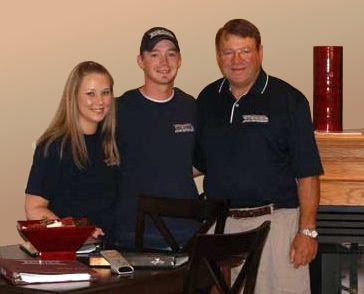 In 1987 Dale and Jean Jacobson founded Active Enterprises Inc.; providing a full line of LP gas services and equipment, RV Supplies, RV Dump Station, and custom sheet metal fabrication. Dale and Jean, in time, raised four children and grew the family-operated business. All four children graduated from Ilwaco High School and went their separate ways to college. The three oldest children found interest in new careers. The youngest, Clark Jacobson, found curiosity in the family business. Since 2004 Clark and his wife Devann have worked with Dale and Jean operating Active Enterprises Inc.
Like his father, at 28 years old, Clark with his wife Devann accepted the managing of Active Enterprises Inc., its employees and customers. Clark and Devann inherited the philosophy from Wilbur, Dale and Jean. Active Enterprises Inc. has earned the reputation for dedication to the security of their customers, flexible service, people over pennies, and meeting the needs of the community.